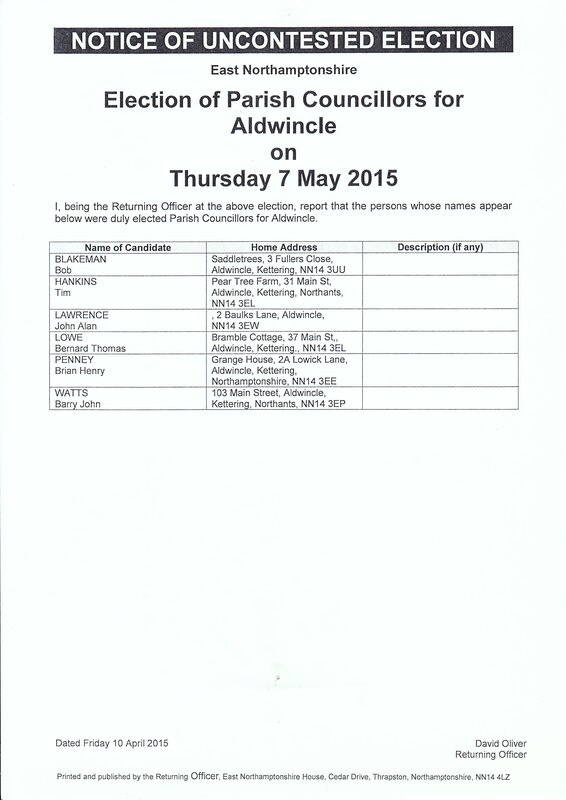 Aldwincle parish council has 7 councillors and an electorate of about 260. The council meet every 6 weeks, usually on a Monday evening in Aldwincle Village Hall at 7.30pm. The agenda and minutes of our meetings are displayed on the Parish Council notice board outside the Village Hall, in addition to their availability on this site. Parish Council meetings are open to the public, and each meeting opens with a public session at which parishioners can address the council on any relevant village issues.